Please provide 1) Your order number, 2) Name for order. Yes. Henna works very well on gray hair. Most people get complete coverage in their initial application. If matching up roots, you may have to dye them first, wait set time, rinse, and then dye the whole head one more time to blend. At times, gray hair can be a little stubborn: the hair shaft, under deeper inspection, is actually clear—void of color, nearly translucent; and gray hair may have a different texture than the rest of your hair. So the initial application may color a shade or two lighter. Just stay consistent with your regular application cycles—improves (hair color & health) with use. If super stubborn, unusual but can happen, give it one full month: four weekly applications to tackle that stubborn gray. It’s all natural—will not damage, will actually improve in shine, bounce, and body. The color builds on the previous treatment; it will get richer and more depth with 3 to 4 applications. You can do it! Airtight, Dry, & Cool: The best way to store any remaining powder is to place all in an airtight baggie (Ziplock® or similar). Remove any remaining air and then keep from light. Store in a cool dry place. Don’t store in bathroom—may get too humid and warm. Note: if already mixed with water, then it will not store. Zero added preservatives: the natural plant-based pigments will lose potency & have unpredictable results. Must be used up or thrown out. We’ll take back any unopened* HCL product for up to 30 Days from date ordered. 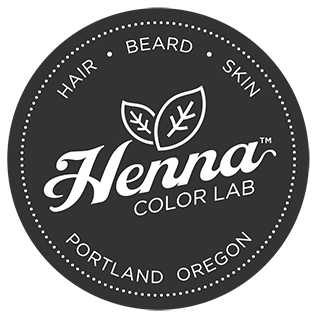 *this includes the outer packaging on henna products (maintains U.V. protection). We cannot accept returns for orders beyond 30 days (inventory is perishable and rotates often). Please Note: Shipments submitted after 30 days of ordering will not be accepted and discarded with no refund to customer. Partial returns (i.e. bundle deal, bogo sale, miscellaneous special, etc) will have the applicable portion (of the sale/deal) credited back to card used at purchase. All approved refunds will have the original shipping subtracted from total. Please Note: “Free Shipped” orders will have true shipping costs subtracted from total. A 10% Restocking/Processing Fee of original price will be subtracted from total. Repackage all goods into appropriate mailing container (box/package). We’ll exchange any unopened* HCL product for up to 30 Days from date ordered. *this includes the outer packaging on henna products (maintains U.V. protection). We cannot accept exchanges for orders beyond 30 days. Please Note: Shipments submitted after 30 days of ordering will not be accepted and discarded with no refund to customer. A flat rate shipping amount will be added to the exchanged order: ($2.99-$4.99 depending on items). HCL™ Return Form MUST BE COMPLETED & INCLUDED for proper processing of freight. Exchanges received without proper billing details (see HCL Return Form) will be refunded (not exchanged) less 10% Restocking/Processing Fee. Allow 10-14 business days to receive, inspect, and exchange/ship out your new order. *Please Note: Exchanges will have a small shipping fee required. Incomplete HCL Return Forms (missing/incorrect credit card details) will result in the goods being credited back (less any fees/charges). No exceptions. What countries do you ship to and what are the options? Standard Mail: 3-5 days* to continental U.S. Priority Mail: 2-3 days* to continental U.S.
Express Mail: 1-2 days* to continental U.S. Note: Shipping rates and carrier service providers do change periodically. All options and prices are clearly noted before final purchase. *business days, after clearing customs. Important: Actual time may vary depending on US Customs traffic. Please allow up to 2 full weeks. International Buyers Please Note: Import duties, taxes, and charges are not included in the item price or shipping cost. These charges are the buyer’s responsibility. Please check with your country’s customs office to determine what these additional costs may be prior to buying.